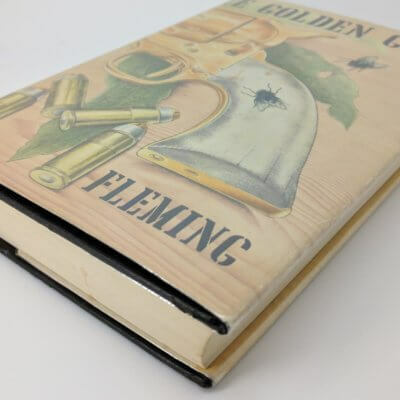 The Man with the Golden Gun By Ian Fleming First edition, first impression (1965) in second state binding, as usual, without the golden gun on the upper board. Original publisher's black cloth with gold lettering to spine and green marbled endpapers. Fine book with just a touch of faint spotting to top edge. Beautifully clean otherwise and free from any marks or inscriptions. 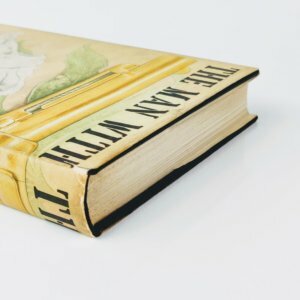 The original and unclipped dust jacket has some rubbing to spine tips with a small tear to top of rear panel hinge with discreet tape reinforcement to verso; a touch of toning to spine panel. 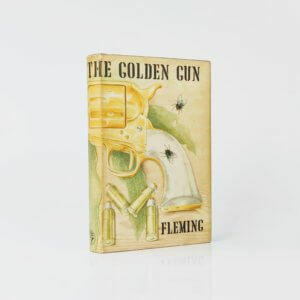 The Man With the Golden Gun (Signed by Christopher Lee) By Ian Fleming A First Edition, First Printing that has been signed by Christopher Lee, who played Francisco Scaramanga in the 1974 film adaptation of the book. The book will come with an official letter from Julien's Auctions confirming the authenticity of the signature. Light bumping to spine and to bottom corner of front board; inscription to front endpaper. 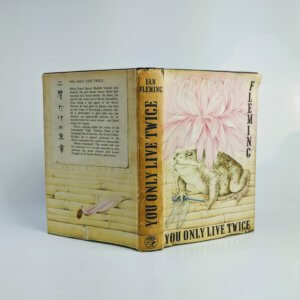 Original, price-clipped dust jacket has a tear to the top and some staining to the inside, a few spots of which are visible on the front panel; some general shelf and handling wear to extremities. 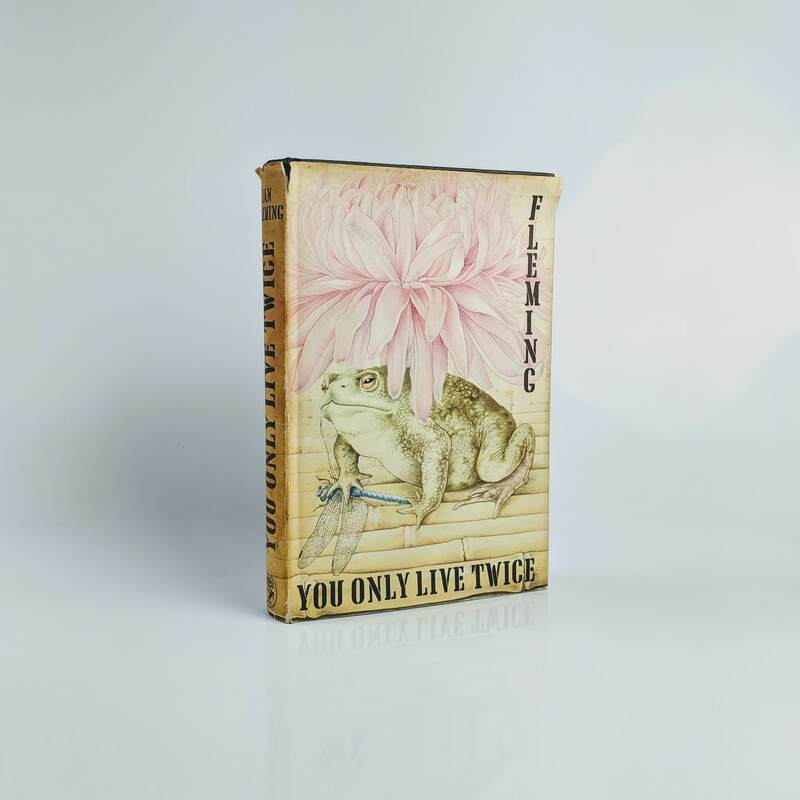 You Only Live Twice By Ian Fleming First edition, first impression (Jonathan Cape, 1964). First state with just '1964' on copyright page, as opposed to 'March 1964' corresponding to the second state. A touch of rubbing to head and foot of spine; minor amount of dustiness to top edge with unobtrusive gift inscription to front endpaper - Very good plus or better. 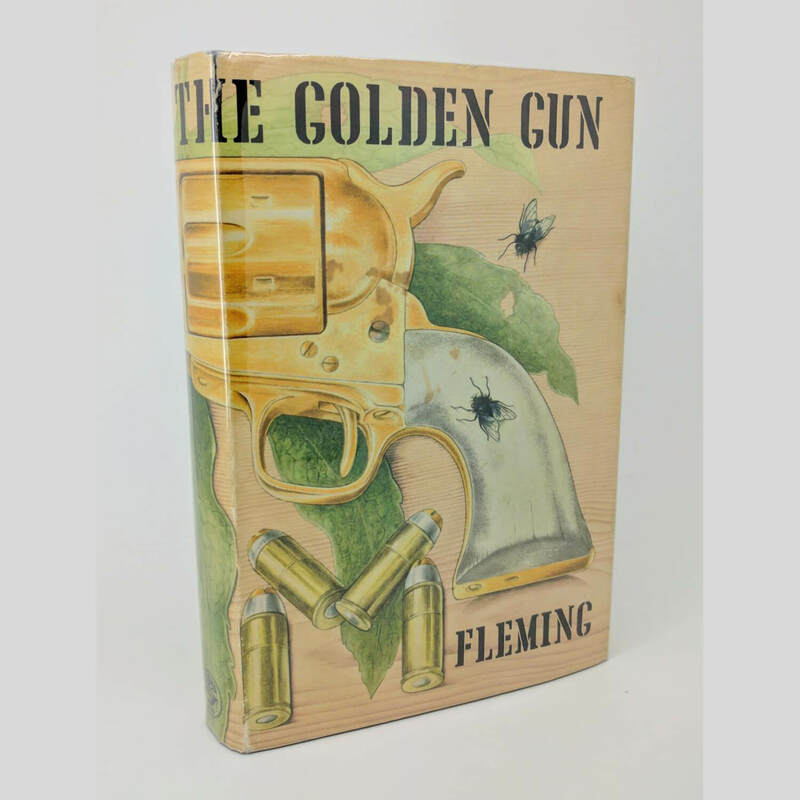 The original and unclipped dust jacket has a few nicks and small tears to spine head; a couple of tears to top fore-edge of front and rear panels; toning to spine panel with small circular brown mark to rear panel - very good. A very good example of the twelfth book in the Bond series.